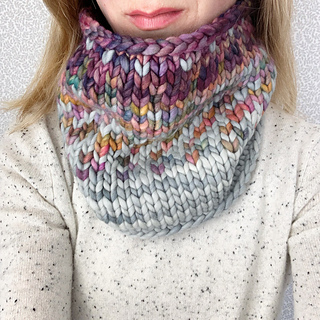 I created this pattern as a way to use up scraps of yarn leftover from making hats. 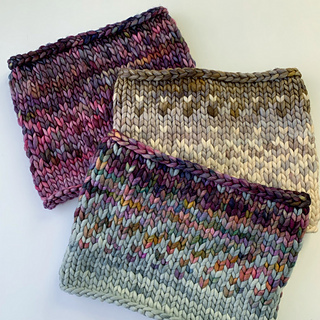 The variegated yarn from three colorways of your choice creates a beautiful ombre effect, inspired by my love of sunrises. Feel free to adjust the colorwork in the rows of the pattern to account for the amount of yarn you have of each color! This pattern is worked in the round, from the bottom up. Feel free to adjust the colorwork if needed, based on the amounts of yarn you have. I recommend starting with the lightest color (color A), medium color in the middle (color B), and darkest (color C) at the top to create an ombre effect.